This is a recipe The Chef has refined at several of the restaurants he’s worked in. He says it’s “very simple stuff.” I’ve only stuffed my face with this but have never made it myself, so we’ll just have to trust him. 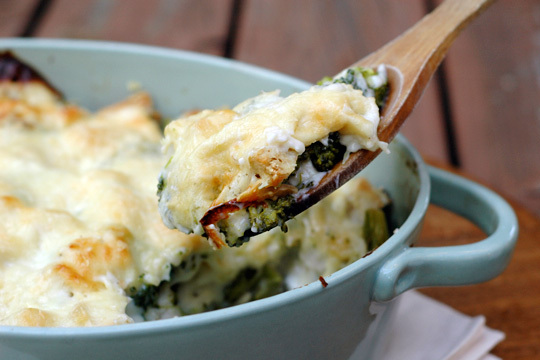 I do know it’s totally succulent, so if you can’t force him to make this for you, I’d definitely try it yourself. Sprinkle seasoning on shrimp, mixing well. 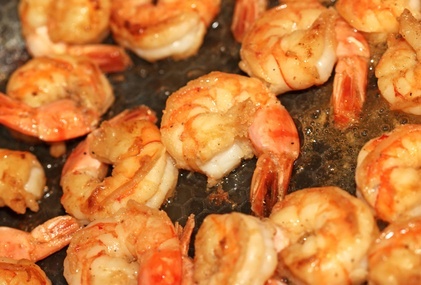 Saute shrimp in veg oil on med high heat for about 2 -3 minutes. Add shrooms, then add sherry. Once sherry has cooked out, add shrimp stock and reduce by 3/4. Add thyme and green onions. 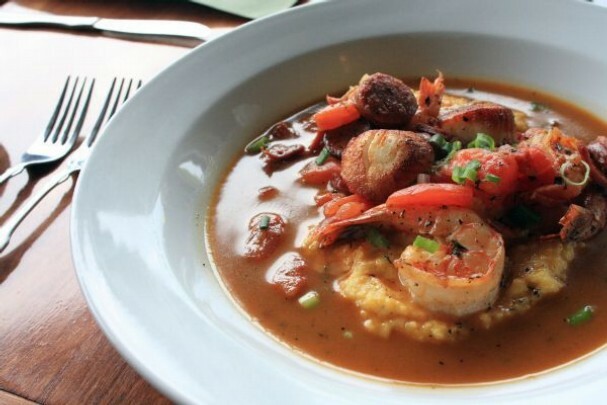 Serve over grits with crusty bread. *I would take the tail off because I hate having to get my hands all messy while I’m eating this, but The Chef says it’s prettier that way, so you’ll just have to decide which side of the line you fall on. My side or the wrong side. Combine liquid ingredients with salt and pepper in a medium saucepan and bring to a slight boil. 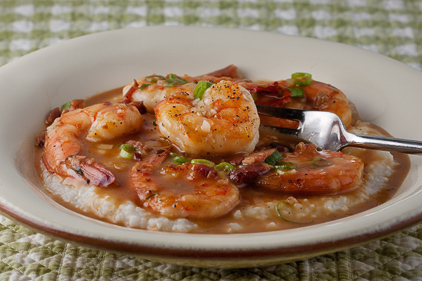 Slowly pour grits into the liquid while whisking constantly. Turn the heat to medium low and cook for a about an hour stirring often. 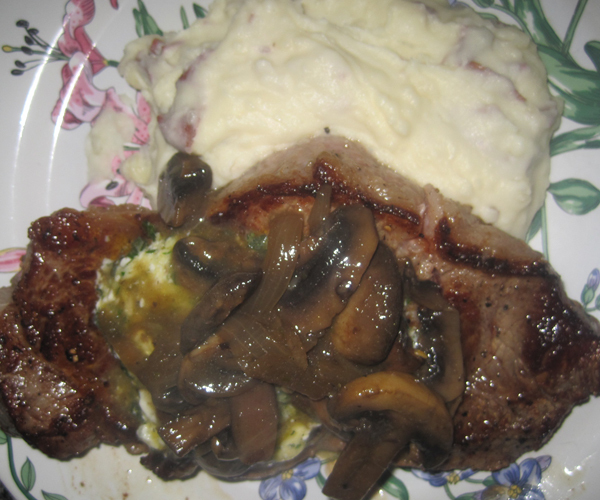 When The Chef tries to throw out the (3 or fewer) leftover mushrooms from this recipe, he is often met with “I’m sorry, have you lost your MIND? We’re saving those right?” Then I spend the next 30 minutes stealing them one-by-one from the skillet as I walk through the kitchen. So what I’m saying is they are good. So good that I almost don’t even care if there’s a steak under them. Although it’s pretty sweet when there is. Make them now. I don’t care if it’s 8 a.m. when you’re reading this. Make them. 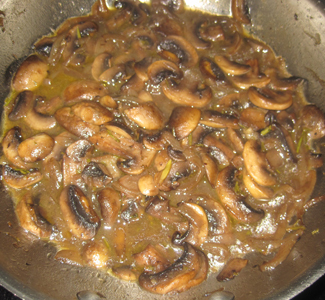 Saute mushrooms and shallot in oil. Season with salt and pepper. Once they are browned, add wine. Once alcohol has reduced a little, add cream and lemon juice. Personally, I’d double this recipe because we’ve learned these are good on everything from taters to scrambled eggs, and they will go fast.